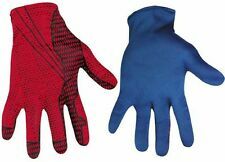 1 Pair Adult Locking Gloves. Material:PU Leather. - Due to the different display and different light, the picture may not reflect the actual color of the item. Detail Image. They will keep your partners hands comfortable while unable to use them. A chilling wave of Darth Vader's gauntlets is all you need for your victims to feel the Force of the Dark Side. 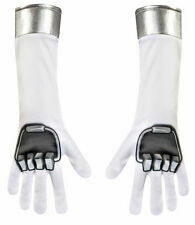 These gloves are also ideal for keeping an iron grip on your Lightsaber. .
HIGH QUALITY THICK LATEX. COVER HANDS AND FOREARMS. Any kind of Military function Honor Guard, Police, Fireman,Formal Tux. You may also like. We will do our best for you! No chating,only fair trading.Trust us ! and you will get more. Le 27-mars-19 à 19:51:08 Paris, le vendeur a ajouté les informations suivantes . Water temperature below 30 degrees hand wash. Do not rub hard, bleach and ironing. Hanging it up to dry. Combat Light Sound Toys Tank Super Tip Armor Lorry Green Battery Operated Gifts. Military Land Panzer Tank Armor Toy Electric Gift Superior Ultimate Chariots New. 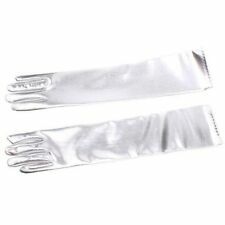 Kid Gloves White Short Satin Feel Boy Hold Flower Girl Performance Dance Elastic Gloves. Product type: Bridal Gloves. Anyway we will try our best to avoid this kind of thing. Color: White. Due to the light and screen difference, the item's color may be slightly different from the pictures. Include: A pair of shooter Note:Transmitter will not launch silk, just decoration! Note:Transmitter will not launch silk, just decoration! Source: Avengers Infinity War. Item Type: Gloves & Mittens. Material : Faux leather.